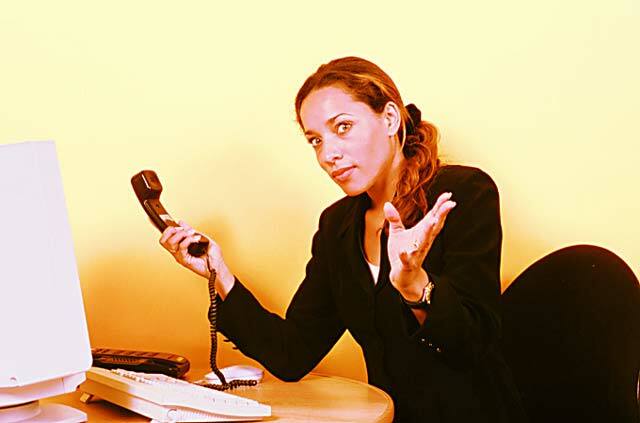 No matter how good you are at what you do, what business you are in, or where it is located, you will at some point find yourself facing an irate customer, but perhaps no more so than in a call center. Maybe the product was flawed, a delivery was late, or a charge was inaccurate. How you deal with that customer not only will determine how he or she feels about your organization – or your client’s organization – but how you feel about yourself. When you are able to turn an irate customer into a satisfied customer, you will gain confidence in your ability to diffuse a volatile situation and evoke a positive outcome. You’ll also gain the respect of your coworkers and attract the attention of your supervisors. Who knows? You might even be promoted. When most people encounter an irate customer, their first instinct is to turn and run. Dealing with a customer who has a problem and is upset about it can be more than a little daunting. With the proper perspective, however, you will see that the customer’s complaint is actually an opportunity for you and your organization to put your best foot forward. Customers who have complaints are a blessing in disguise. They let you know where you and your organization have flaws – and provide you with the opportunity to correct them. When you do, you will realize increased customer loyalty, revenues, and profits. It’s a win/win situation. You should be more concerned with the customers who don’t complain than with those who do. In a recent study of retail banks in the United Kingdom conducted by J.D. Power and Associates, results showed that 25 percent of customers who have experienced a problem in the past twelve months say they definitely or probably will switch institutions in the next year. And 55 percent of customers who have had a problem or complaint were disappointed with the resolution process. That study also found that, while incentives are important in attracting new customers, customer service is essential to retaining them. Almost 40 percent of customers left their banks because of a poor service experience, and an additional 43 percent cited poor service as a top reason for intending to leave their banks. Listen carefully and with interest to what the customer is telling you. Apologize without laying blame, regardless of who is at fault. Ask pertinent questions in a caring, concerned manner and actively listen to the answers. Suggest one or more alternatives that would address the customer’s concerns. Solve the problem quickly and efficiently, or find someone who can. Don’t directly challenge someone who has a complaint and is angry. Even if that customer is wrong, don’t attempt to prove it. Your goal is to solve the problem, not to enter into a debate on the merits of the complaint. Don’t let the conversation wander or get off the topic. Solve the crisis at hand without looking for – and finding – additional problems. Don’t participate in faultfinding. Shifting blame doesn’t help anyone. Don’t let your personal feelings get in the way. Stay cool, and use courtesy and tact to diffuse the situation. When you successfully handle irate customers and their complaints, you will be rewarded with a satisfied customer – a customer who will be loyal to you and your organization. That loyalty will have a positive impact on your organization’s bottom line – and make you look like a hero. John Tschohl, the internationally recognized service strategist, is founder and president of the Service Quality Institute in Minneapolis, Minnesota. Described by USA Today, Time, and Entrepreneur as a “customer service guru,” he has written several books on customer service and has developed more than twenty-six customer-service training programs that have been distributed throughout the world.